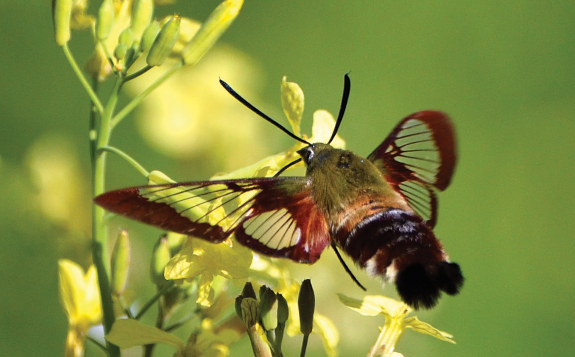 Wildlife-friendly native fruit trees make an interesting addition to the home landscape. During the summer, peach stands dot roadsides throughout South Carolina. Although our homegrown peaches are delicious, they actually originated in China. 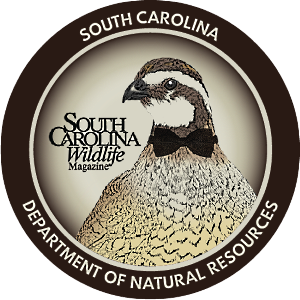 Only recently - within the past two centuries - have they found the well-drained soils of South Carolina welcoming. American Indians in South Carolina depended on indigenous trees for fruit production for thousands of years. Peaches and other mainstream fruit trees now overshadow these species, but natives still have a tremendous impact on wildlife and produce fruits tasty to humans as well. Since you're unlikely to find these fruits in a grocery store, you may want to plant a few native fruit trees in your backyard this year. In four or five years, one or two backyard mulberry or Chickasaw plum trees can provide bucketsful of fruit. In bygone days in the South, wild black cherries were commonly used for flavoring - often for drinks of the hard variety. Today you can still stumble upon authentic black cherry jams and jellies in farmers' markets, but finding the tree itself is probably much easier, as black cherries are very common. In eastern South Carolina, wild black cherries often look scrappy and crooked, scarcely resembling the straight, towering form of cherries in the most elevated areas of the Upcountry. In higher elevations, black cherries can grow to one hundred feet in height, but in most parts of South Carolina they'll rarely reach half that. Black cherry trees produce lots of marble-sized fruit in June and July. Usually, birds such as bluebirds, robins, catbirds, mockingbirds and blue jays pick trees clean before the cherries fall. Black cherries are also an important food source for game birds such as wild turkeys, bobwhites and ruffed grouse. Although the fruit is edible, beware of black cherry foliage if you have livestock. Among farmers, black cherry is commonly referred to as "choke cherry." Cows and horses can become seriously ill after eating wilted black cherry leaves, which contain a high concentration of a cyanide compound. This poisoning is rare, but black cherry is a bad choice for pasture planting. For landscaping purposes, a cultivar of Prunus serotina called 'White Sparkle' blossoms prolifically and has a weeping form. Whether a cultivar or wild, black cherry grows best in full sun. 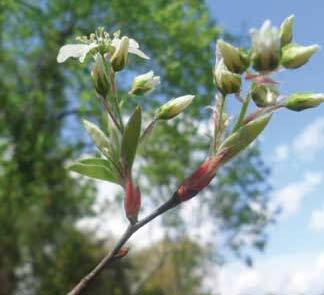 A small tree, usually no taller than twenty-five feet, serviceberry blossoms in early April. At about the same time, shad run upriver, which is why it is sometimes called shadbush. Since the showy white flowers of serviceberry bloom before those of many other plants, they are an important pollen and nectar source for honeybees and other insects. Like black cherry, serviceberry is a popular food for many bird species. Two months after pollination, the fruit of the serviceberry ripens in June (serviceberry is sometimes called Juneberry, as well), and birds devour the small, sweet fruits. The fruits of serviceberry are about the size of blueberries and can be eaten out of hand, used in jams and jellies or dried like raisins. 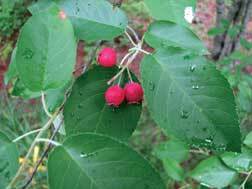 American Indians used serviceberries in pemmican, a nutritious mixture of fat, nuts and dried fruits. Today, serviceberries are most commonly planted for landscaping. Amelanchier species - of which Amelanchier arborea is one of several native to South Carolina, but the only one capable of tree height - all have eye-catching flowers and attractive fall foliage. 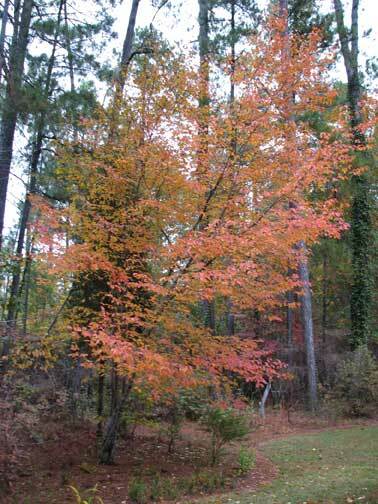 A cultivar of Amelanchier arborea called 'Autumn Brillance' has striking crimson leaves in fall. You can plant serviceberries in full or partial sun in a variety of soil conditions, ranging from heavy clay to sand. Although concentrated in Mississippi, the Chickasaw Indians also settled along the Savannah River in South Carolina. The so-called Chickasaw plum, Prunus angustifolia, thrives throughout South Carolina and was probably an important food source for many Southeastern tribes. 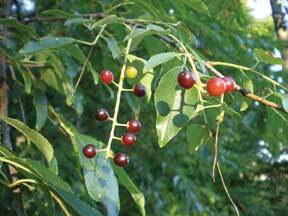 At best a small tree, the Chickasaw plum is often shrubby, with dense, prickly branches. Plum thickets provide escape cover for birds, rabbits and other small mammals. Like many wild trees, Chickasaw plums exhibit masting behavior, in which heavy fruit years are followed by two to three years of scarce fruit production. Ideally, when a bumper year rolls around, the tree produces more plums than the populations of birds and squirrels can eat, ensuring some plums are left over for germination. 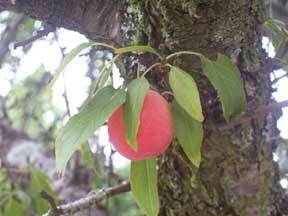 In a good year, a mature tree can easily produce two bushels of plums. Although tart eaten raw, these pink plums can be made into fine jams and jellies. Like serviceberry, the Chickasaw plum is a versatile species, capable of growing in a variety of soil conditions and full or partial sun. To keep a Chickasaw plum from turning into an unkempt shrub, prune when necessary. Black cherry, Chickasaw plum and serviceberry all belong to the same botanical family, the rose family. Pawpaw, however, is unique in two regards. First, pawpaw produces the largest fruit - up to a pound - native to North America. Second, although often associated with the South, and even memorialized in the song "Way Down Yonder in the Pawpaw Patch," pawpaw is actually the northernmost member of the tropical Custard Apple family. Species in this family are known for their banana-like fruit, and pawpaw, sometimes referred to as "poor man's banana," is no exception. A pawpaw resembles a stubby green banana and tastes similar to a mango. In the wild, pawpaws often reproduce through root sprouts, so individual trees are frequently interconnected through their roots. 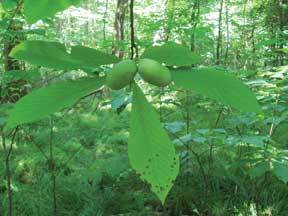 In South Carolina, pawpaw patches are common in the understory of mature bottomland forests. Pawpaw fruits are relished by mammals, including opossums, raccoons, foxes, squirrels and black bears. In addition, throughout the summer and fall, the zebra swallowtail, a beautiful black-and-white striped butterfly, lays eggs on the underside of pawpaw leaves, its preferred larval host plant. As a bottomland species, pawpaw prefers rich, moist soil and can tolerate partial shade. 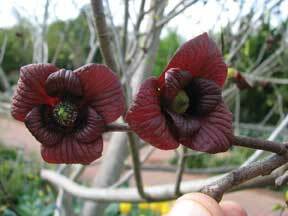 To attract pollinators and encourage fruiting, plant several pawpaws near one another, creating your own pawpaw patch. Because of the children's song "Here We Go Round the Mulberry Bush," many people believe mulberries are bush plants, when, in fact, mulberries grow on trees. Red mulberry, our native mulberry, is a fast-growing tree that can reach thirty to forty feet in height and live more than a hundred years. When ripe, mulberries are deep purple or black and look similar to blackberries. Like blackberries, mulberries can be used in jams or jellies, or eaten out of hand. Traditionally, mulberries were multi-purpose farm trees. They provided fruit for jams and jellies, and fodder for livestock, as farmers let hogs and poultry roam through forested areas. In addition, mulberry wood makes good fence posts, since it is slow to rot in contact with the ground. Today, mulberries remain an important food source for wildlife. More than fifty species of birds and many small mammals devour mulberries, often picking trees clean well before the juicy fruit fully ripens. 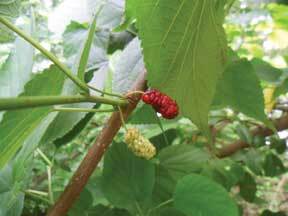 A versatile plant, red mulberry grows well in full or partial sun and a variety of soils. Its classic, rounded form makes for a great backyard shade tree. Notorious for being sour, persimmons certainly are if they're the least bit green. However, a soft, well-ripened orange persimmon actually tastes quite sweet, and the Latin name Diospyros (meaning food of the gods) reflects this. 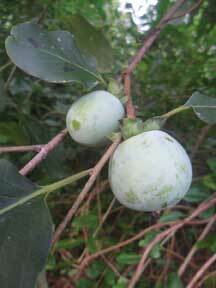 Persimmon jams, jellies, whiskey and wine were common in the antebellum South. These days, you can find persimmon jams and jellies at farmers markets, but you'll have to search far and wide to find legal persimmon whiskey. Persimmons grow throughout South Carolina and can become large trees given enough time and fertile soil. Persimmons, a dioecious species, need a male tree within the vicinity of female trees to ensure successful pollination and fruit set. Persimmon fruits ripen in late summer and early fall, and many people believe persimmons picked after the first frost taste better. If you wait that long, be prepared for slim pickings, as deer, opossums, raccoons and even black bears frequent persimmon trees loaded with fruit. Late fall and winter are usually the best times to plant trees, and native fruit trees are no exception. Trees are dormant in cold weather and need less water, so planting during fall or winter provides time for roots to establish before the dry spells of summer. If need be, you can plant during the early spring - and garden centers sell lots of trees at this time - but you'll have to water more frequently throughout the first year. Resist the temptation to fertilize when first planting. By waiting, you'll promote root growth over foliage development. For more tips and information about planting trees in the home landscape, visit the Home and Garden Information Center (HGIC) on the Clemson Extension Service website (www.clemson.edu/extension). 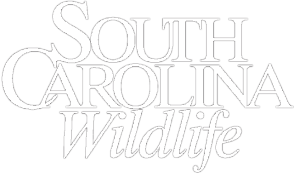 For more information about fruit trees and other native plants, including a list of nurseries where native plants can be purchased, visit the website of the S.C. Native Plant Society (http://scnps.org). 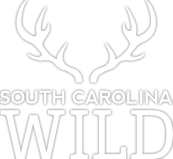 This is North Carolina-based freelance writer Stephen Bishop's first feature for SCW.